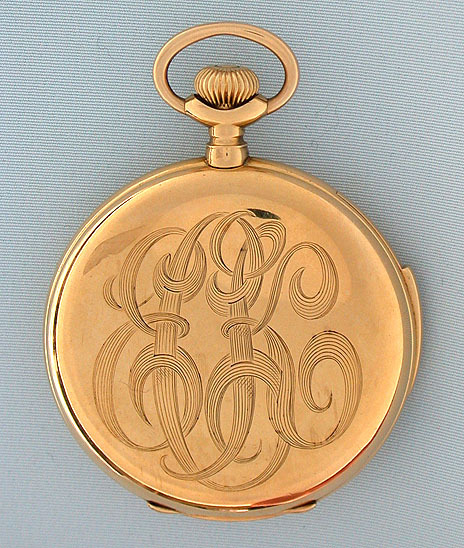 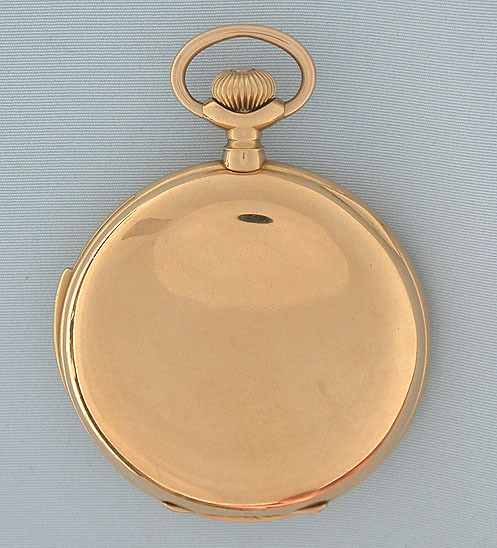 Fine Patek Philippe 18K gold hunting case minute repeater made for Tiffany circa 1891. 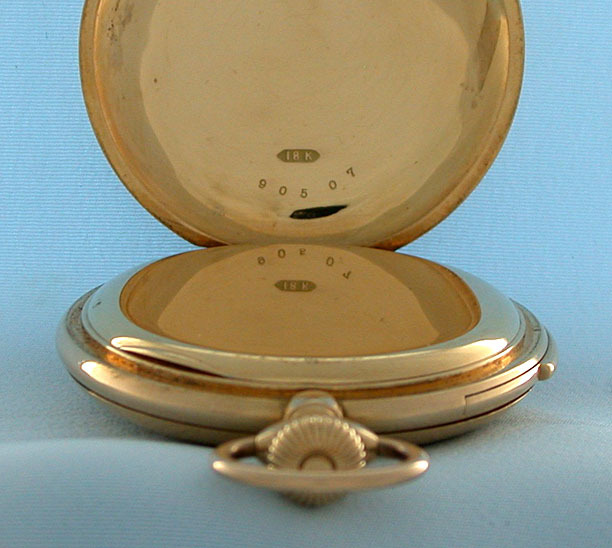 Plain polish slim case with monogram. 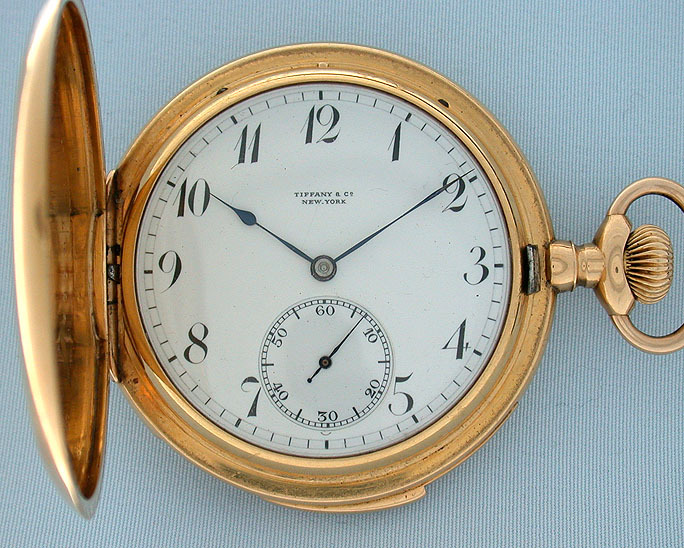 White enamel dial with black numerals and blued steel hands. 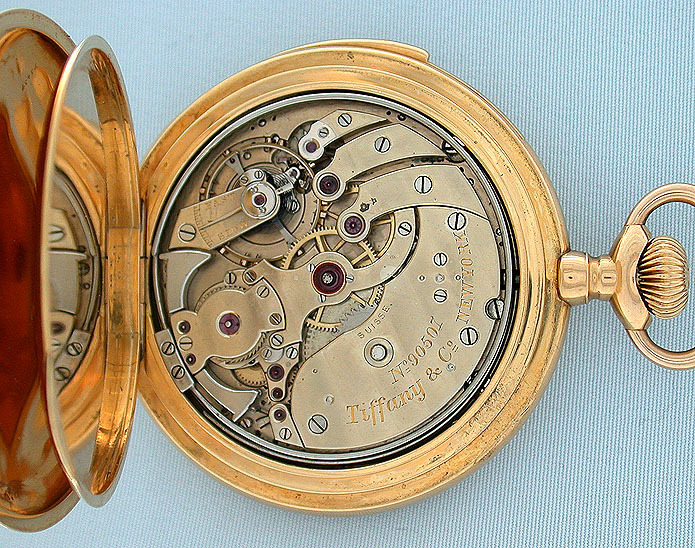 Nickel 32 jewel movement with wolfs tooth winding jeweled to the center and the hammers. 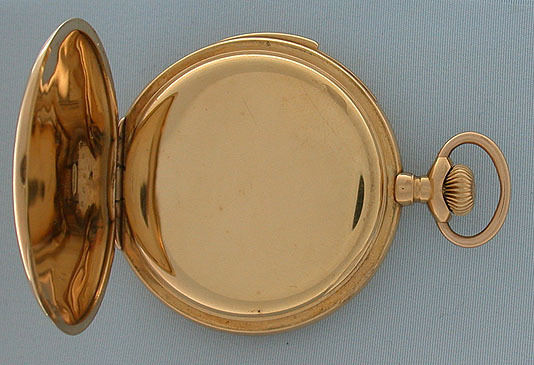 Loud clear tone. 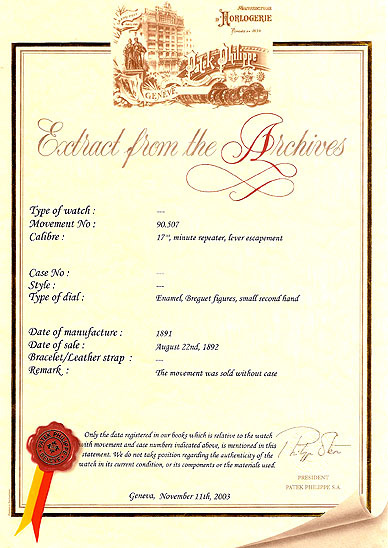 With certificate from Patek Philippe confirming their manufacture of this watch.